Tagging along with her other half her first Legro’s training camp was back in 2010, Alana’s cycling life consisted of spinning classes and the odd 10 or 20 mile ride. Two weeks and 600 miles later she was hooked. Majorca has become like a second home, navigating round the flat lands or the mountains always in the sunshine is fantastic. 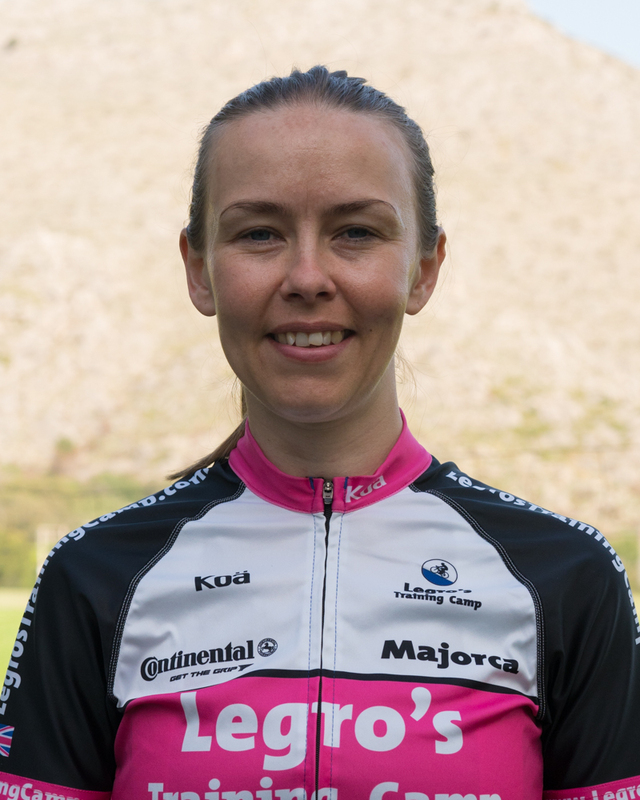 Her racing career began in 2013 and by the end of 2014 she was North of Scotland 10m TT gold medallist, Team BAR gold medallist, individual BAR bronze medallist and crit champs bronze medallist. A great example of overcoming confidence, novice rider to group leader to racing.